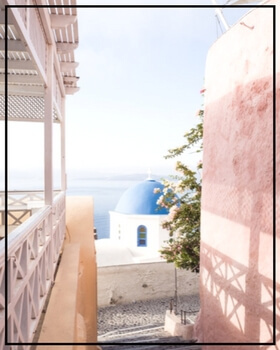 The Cyclades are comparable to veritable earthly paradise with their exotic and breathtaking landscapes. Located south of the Aegean sea, the Cyclades are composed of nothing less than 250 islands. And amongst those dreamy islands, only 24 are lived on. 24 islands, with an unique character, which are truly worth the tour! Thus, whether you rent a villa in Paros, Antiparos, Syros, or you wish to roam Serifos’ most beautiful beaches, you shouldn't miss the stunning view of the sea and swimming in the warm water. Even the lovers of volcanic sites will find themselves to be satisfied, especially on the island of Santorini, famous for its volcanic eruption that engulfed a whole civilisation, where the houses, in excellent state, are visible on Akrotiri site. The renting of villas in the Cyclades remains, certainly, the best option to discover so many wonders.